Xceleration prepares students for all sorts of examinations in a much shorter period of time than traditional schools, and this is a good thing! There is no wastage of time and all lessons are planned methodically to ensure students are more than prepared for their respective examinations. 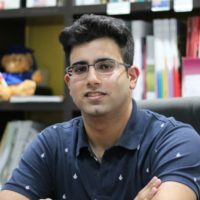 Rishi joined Xceleration on Jan 2017. He completed his IGCSE examination in June 2017 and progressed to A-Level on Sept 2017.